Chablis wines come only from the Chablis section of Burgundy, France, in the north of Burgundy. Chablis is a white wine, made from the Chardonnay grape, but there is more to a Chablis than that. Chablis are grown in a very flinty soil - visitors to the area are often surprised by the rocky quality of this landscape. It is this "Kimmeridgian" limestone that gives Chablis its distinct flavor. Chablis was first "wined" back in the 500s - a monestary was built there, and invading Romans brought along wine whereever they went. When Charlemagne set up a base here, it was very important that wine be offered to visiting guests. By the 1400s Chablis was a well known region, but it shortly fell to war and fighting in the 1600s. Just as it recovered from these, it was hit by the phylloxera troubles that hit just about every other region of the continent. It was set aside as a Appellation d'origine around 1937 - 1938. There are around 40 Premier Crus, with some smaller vineyards falling under the name of a larger group. For example, Chapelot, Pied d'Aloue, and Cote de Brechain all fall under the name 'Montee de Tonnerre'. A Premier Chablis should be aged for around 10 years, and served around 52?F (11?C). Chablis go well with seafood (especially oysters) and light poultry. Chablis are typically light, crisp, fruity, and floral. They have a bit of a steely edge to their flavor. 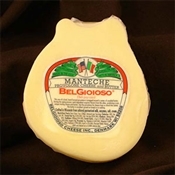 BelGioioso Manteche is an artisan cheese that consist of Mild Provolone Cheese hand-formed around unsalted butter. This semi-soft cheese has a mild flavor and is an excellent choice as a pan fried appetizer or side dish or simply served on top of crusty bread. Award winning Provolone Cheese should say it all, but four 1st Place Best of Class awards at the American Cheese Society in 1999, 1996, 1995 and 1990 sums it all up beautifully! 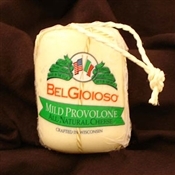 BelGioioso Mild Provonone is a creamy,soft and buttery cheese perfect for melting. This is the standard of excellence in Provolone, and the one by which all others are judged. It's made with whole cow's milk and aged at least 60 days. Never smoked and never bleached, it won the title of "World's Best". It is an excellent melting cheese, and slices without crumbling or sticking to the slicer. Don't forget to look at our Provolone Cheese Enthusiast Gift Crate for a full spectrum of BelGioioso Provolone Cheese flavors. Award winning Provolone should say it all, but four 1st Place Best of Class awards at the American Cheese Society in 1999, 1996, 1995 and 1990 sums it all up beautifully! 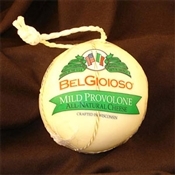 BelGioioso Mild Provonone is a creamy, soft and buttery cheese perfect for melting. This is the standard of excellence in Provolone, and the one by which all others are judged. It's made with whole cow's milk and aged at least 60 days. Never smoked and never bleached, it won the title of "World's Best". It is an excellent melting cheese, and slices without crumbling or sticking to the slicer. Don't forget to look at our Provolone Enthusiast Gift Crate for a full spectrum of BelGioioso Provolone flavors. The mild flavor and soft, creamy texture of Provolone complements a wide variety of dishes, from pasta, lasagna, sandwiches, subs and many more. BelGioioso Mild Provolone Salame cheese gives your favorite dishes the ideal blend of subtle flavors made from pure ingredients. Winning the American Cheese Society's 1st place Best of Class in 1999, 1996, 1995 and 1990, BelGioioso Mild Provolone Salame Cheese continues to impress. Made from whole cow's milk from the USA dairy capital, Wisconsin, and mixed and aged with no smoking or bleaching, BelGioioso highlights the best natural flavors and soft texture of pure Provolone cheese.